We at Bronson & Associates are committed to providing unsurpassed professional, aggressive legal represenation. 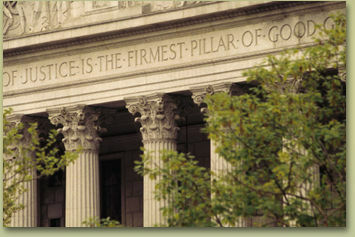 As you travel our web pages and learn about our firm, you will understand our dedication to the practice of law. Our passion is figting for the rights of consumers and providing their cause with tough, experienced legal representation and help. As part of our passion for the law and fighting for the rights of consumers, we formed our Nonprofit public benefit California Corporation, Consumer Advocates Rights Enforcement Society, Inc. (aka CARES, INC.). It is aimed at being a one stop legal reserach and resouce forum for the general public and legal professionals alike. . To learn more, visit at www.thelaw.bz/cares. Our consumer law practice includes emphasis on bank, landlord, and business owners' unfair business practices with concentration in class action lawsuits when the wrong is perpetrated upon a definable group of persons. We also handle consumer lawsuits involving faulty appliance and other products for individuals who are entitled to safe products. When a manufacturer or seller provides an unsafe product or one that is not right for the use the consumer intends, the maker or seller is responsible for the defective product. Our premises liability practice assists our clients by requiring an owner or tenant to be responsible for what happens on their premises. Other areas of our practrice include family law cases with complex property division, support and custody issues, as well as accident related personal injury law. To navigate our site, please use the buttons to your left. Enjoy your visit and please call if you have any questions or if you are in need of any other information. We hope you enjoy your visit.